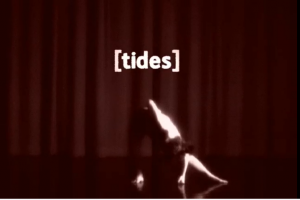 [tides] is a five minute screen dance exploring personal movement through space and time. Through a sophisticated time-based manipulation of human movement programmed by Matt Costanza, the abstract and illogical portrayals of the dancers are juxtaposed with the fundamental sound of life, breath. This work creates a truly unique cinematic and evocative experience through an expressive combination of sound, image and movement.